“It is the ultimate classroom mind-game,” writes The Telegraph. 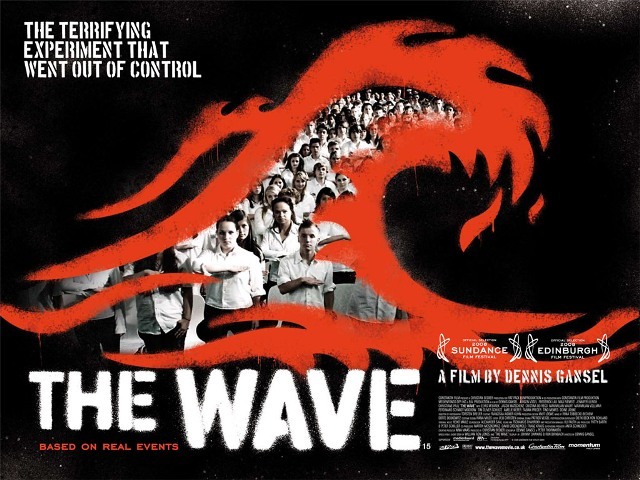 In fact the experiment – known as the Wave – actually took place, in April 1967 at Cubberley High School, Northern California. Ron Jones, the teacher, had arrived there straight from training college. He soon became famed for his unorthodox methods: making students at the almost all-white school use different toilets to demonstrate apartheid, for instance. Posted on August 19, 2014 by Skews Me. This entry was posted in education, psychology, war, world. Bookmark the permalink.